Our day-to-day activities make constant demands on our eyes. Whether at work or at leisure, millions of us spend hours each day in front of a computer screen or driving a car. What’s more, there’s no shortage of factors that irritate the eyes: UV light, pollution, allergens … Having to constantly adapt to each situation unsurprisingly causes eye fatigue. 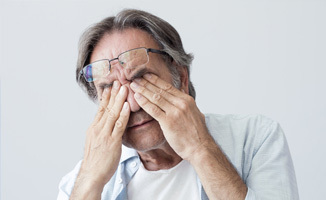 This can manifest in two distinct ways: as visual fatigue, which causes a deterioration in vision, or ocular fatigue which produces stinging, irritation and even conjunctivitis. To relieve this fatigue, the first thing to do is protect your eyes. At work, take a break from the screen every now and then, and look into the distance. Use anti-reflective filters on your computer screen. And take advantage of effective dietary supplements that help maintain youthful eyes such as Macula Plus which provides optimal nutrition for the eyes. There’s also Optivision which offers stronger protection designed to boost visual function and prevent age-related degeneration and fatigue. Your vision is crucial - there’s no time like the present to give it a boost. Each capsule contains 10 mg of Affron Eye®. Take one capsule twice a day before meals (or more, if required, or advised by your therapist). 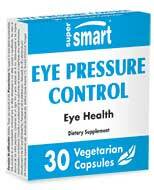 Eye Pressure Control:30 Veg. Caps. When you buy eye care vitamin supplements here at Supersmart, you can add them to your diet to maintain good eye health and eyesight. 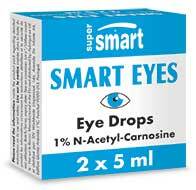 There are many different natural eye care supplements out there you can try, with a wide selection available here at Supersmart. You’ll find plenty of healthy eye care dietary supplements that can help you preserve your eyes for many years in addition to a wide range of other supplements available from us. Browse through our selection today and find what you need to maintain a healthy diet and lifestyle.